Are you ready to spring into Easter? As we’re waiting for warmer weather and flowers to bloom, it’s the perfect time to get creative. 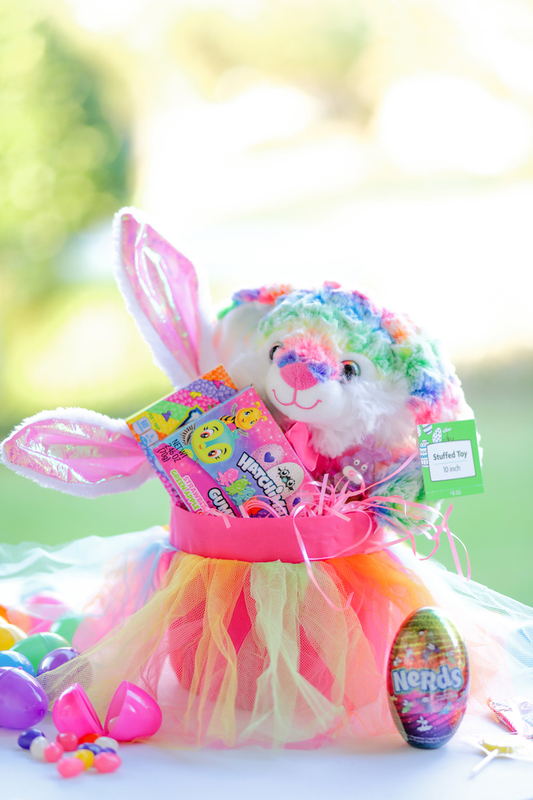 Easter baskets are SO much fun to put together for your loved ones, especially when you have a fun theme! 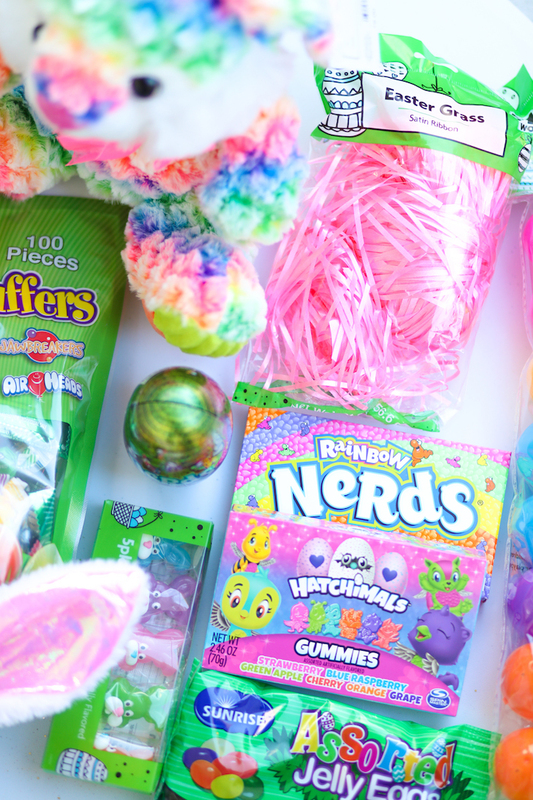 I’m going to share my best inexpensive Easter basket ideas from Family Dollar for 2018 and I think you’re going to love these! No matter who is on your best bunny list, they will love these fresh and colorful ideas. Let’s hop to it! 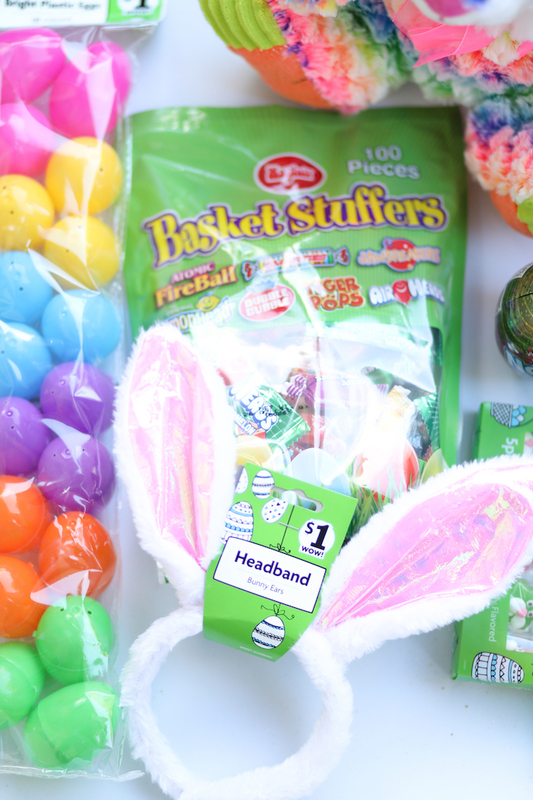 From budget friendly baskets to all of the fixings, you’ll find just what you need to create the best diy Easter baskets at your local Family Dollar. Get ready to save more when you shop for Easter goodies this year and be sure to check for Smart Coupons before you shop, too! I saved $15 with coupons on my last visit alone! Get ready for some ideas that even the Easter Bunny will want in on this year. Rainbow everything! Keep on trend this year by making your own bright rainbow Easter Baskets. There are some really eye-popping Easter products and seasonal spring goodies that will make these gifts right to the next level. The key to a gorgeous DIY Easter basket gift is variety if you ask me. To make it easier, pick one or two larger items as the base. I found a cute rainbow stuffed bunny at Family Dollar that ended up being the perfect centerpiece to the finished basket below. Then, I shopped around for the brightest and most colorful Easter Basket Stuffers that I could find. It was easy with plastic Easter eggs, Easter Grass and even Easter Baskets priced at $1. The Easter basket that I bought at Family Dollar could not have matched this theme any better. How cute is that tutu? Living with my husband and son has given me quite a bit of experience with men’s gifts. If my family is any indication, then my Easter Basket picks are just what you need. It’s all about sweet and savory snacks! This basket is perfect for husbands, sons, dads and even your kid’s coach. This might be perfect for your teen sons, too. 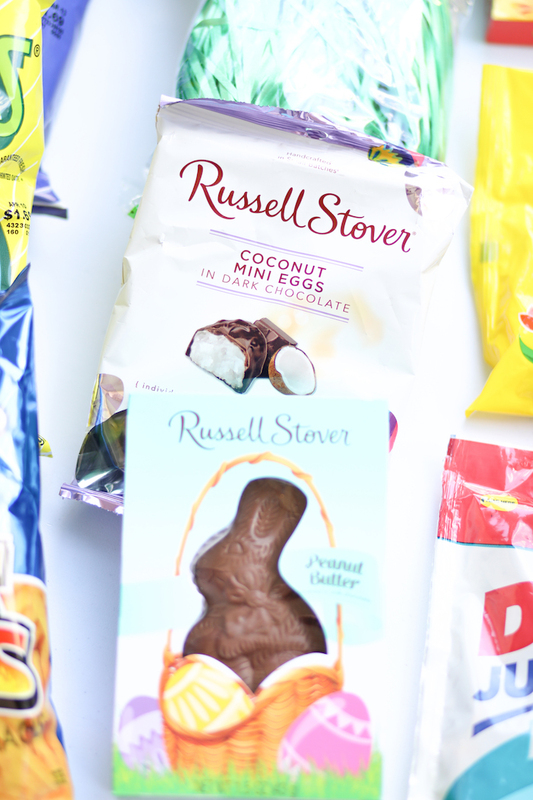 I loved the choices for the more mature Easter candy palate. Coconut Mini Eggs in Dark Chocolate and Peanut Butter Chocolate Bunnies will be a hit. Don’t forget to grab a pack or two of Reese’s Peanut Butter Eggs. 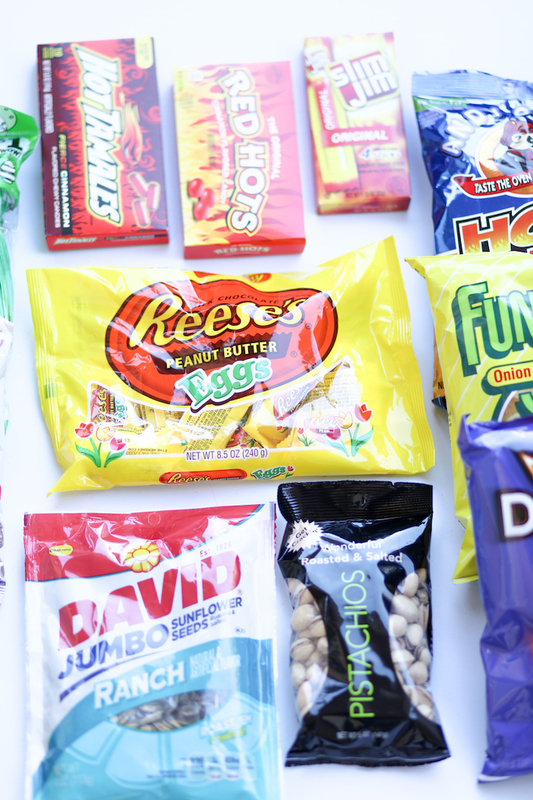 Shop for your loved one’s favorite snacks to fill the basket. May I recommend seeds and nuts, spicy chips or candy and jerky, too? As soon as I spotted the glittery plastic eggs at Family Dollar, I knew I had to create an entire Easter basket to match. I love the results! 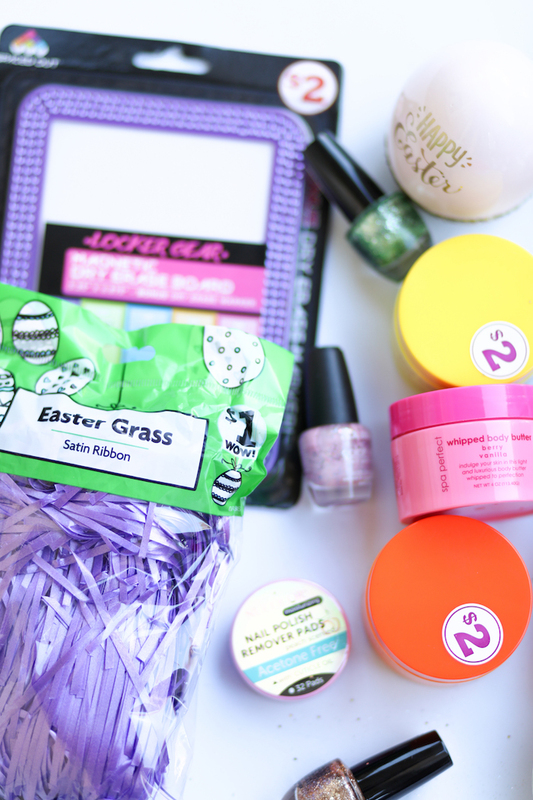 Easter basket ideas for a teenage girl in your life? This is definitely the one! 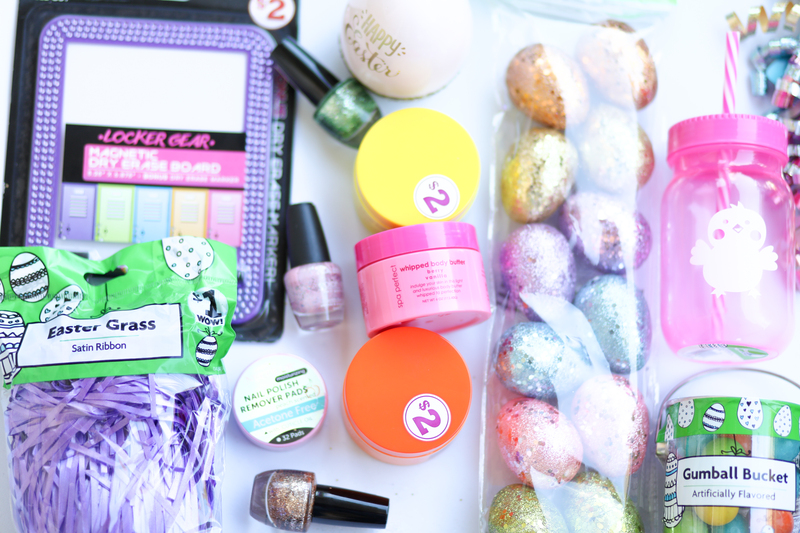 You could also easily put together a makeup Easter basket for older teens and young adults. I loved adding glitter nail polish to this one and bright colored whipped body butter. 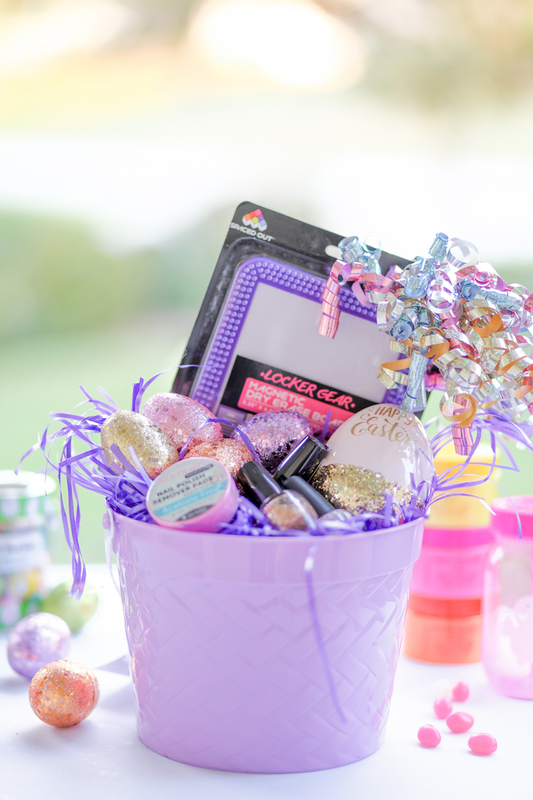 Pick a pretty Easter Basket to store it all and a pretty glitzy bow from the gift section at Family Dollar and you’ll be good to go! Are you ready to spoil your family and friends this year? You can do it all on a budget at your local Family Dollar. Find a store now and check out their weekly deals to see what’s hopping for Easter offers this week. I hope that you love these creative Easter basket ideas as much as I do! These are fabulous easter basket ideas. I am going to have to use some of these this year. I love these ideas! I will definitely do this for Easter! These are such cute and creative baskets and I love that it came from the Family Dollar! I love that place!!! I wish we had a Family Dollar around here! You made some adorable baskets! I need to get on making my kids'! It sounds awesome! Love all your ideas! I can't wait to make some next week! Oh my goodness Dawn! You are so clever and creative.Your Easter baskets are adorable and so yummy!! These Easter baskets turned out great. I love making these for my girls. They're always so much fun trying to stuff them with items. These are fantastic Easter basket ideas. It's great to be able to get everything you need at Family Dollar. Can you be my mom with these baskets? Seriously, these are some super fun and tasty basket ideas. Love the stuffie one! 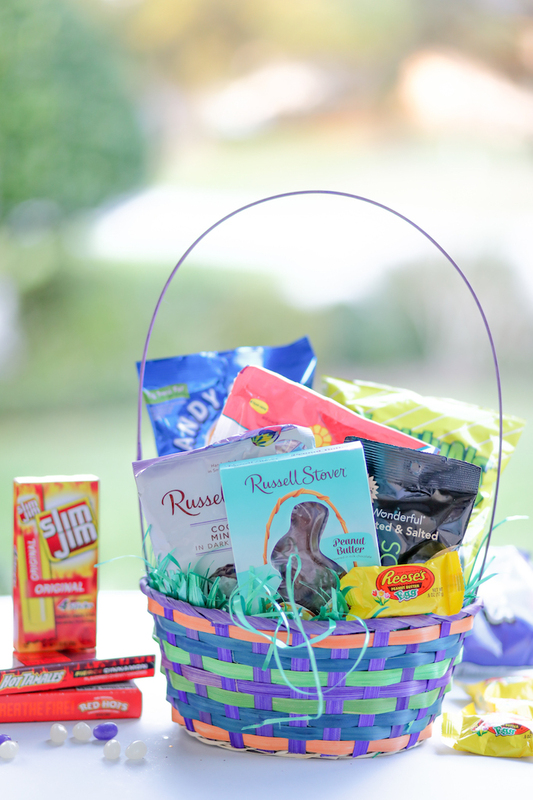 Your baskets look great for the whole family. It is such a good idea to fill them with things from Family Dollar it is such a special store. There is a lot a great Easter ideas here. I cannot believe Easter is coming up I have so much planning and I want to get done before hand. Love your simple baskets! I have to start thinking about making baskets for my boys and I definitley want to keep it simple this year.